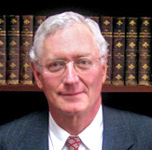 Ashby D. Boyle II is Meridian’s correspondent to the US Supreme Court. He is currently spending a year at Yale writing two books. Lewis and Tolkien regularly read their work to each other as an informal group called the Inklings that met every Tuesday in a pub they nicknamed, The Bird and the Baby, in Oxford. So what did J.R.R. Tolkien think of the The Lion, The Witch and the Wardrobe? Tolkien hated it. From that very first time it was read to him. In fact, Tolkien is on the record, saying, “It really won’t do,” to a student of Lewis later at the Bird and the Baby. Tolkien had his reasons. Not that Lewis wasn’t introverted in the way that the British often seem to Americans, and in person Lewis could be read wrongly as being arrogant. At other times, he was cranky. Former students of his say that Lewis kept his own religious beliefs to himself except for every Tuesday, when the Inklings met. But apparently what makes Lewis enduringly readable –a word he would surely have hated—is a mix of intellectual and spiritual brilliance, and keeping utterly to himself seeming odd. 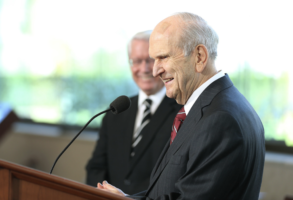 He did, on the other hand, value friendship, and felt a duty to write back to everyone who wrote to him (a practice which Elder Neal A. Maxwell seemed to also be committed to). There’s an echo of Scrooge possible in listening to reasons why Lewis condemned Christmas (not to be mistaken, again, for his personal devotions commemorating Christ’s birth). Lewis wrote in a short essay, “What Christmas Means to Me,” that “Christmas the commercial racket” should be condemned for four reasons.